Heinz Fassmann will present an overview about the current asylum flows from the main countries of origin in the MENA region to Europe, based on available statistics. Furthermore the demography and the qualification of the asylum seekers to Austria and Germany will be characterized. In the focus of the presentation will be a discussion on the Common European Asylum System (CEAS) and the question why the system failed and how it can be re-implemented. The EU has been working on the creation of the Common European Asylum System since 1999 and attempts were made to improve the legislative framework. Between 1999 and 2005 several legislative measures were adopted with the purpose to harmonise the common minimum standards for asylum. In that respect the Asylum Procedures Directive, the Reception Conditions Directive, the Qualification Directive, the Dublin Regulation and the EURODAC Regulation have to be mentioned. Finally an outlook about the European and national policy reactions will be presented. 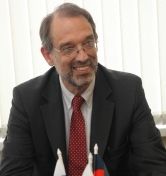 Heinz Faßmann is Vice-Rector for Research and International Affairs at the University of Vienna. He studied Geography and Economic and Social History in Vienna and worked as scholar at the Institute for Advanced Studies (Sociology Department). Later he switched to the Austrian Academy of Sciences. Between 1996 and 2000 he was C4 Professor for Applied Geography II (Geoinformatics) at the Technical University of Munich. Since 2000 he has been Professor of Applied Geography, Spatial Research and Spatial Planning at the University of Vienna. In 2011-2015 he was Vice-Rector for Human Resources Development and International Relations of the University of Vienna. Heinz Faßmann is Member of the Austrian Academy of Sciences, Chairman of the expert Council for Integration at the Ministry for Europe, Integration and International Affairs and Member of Expert Council of German Foundations on Integration and Migration (Berlin). He was awarded (among others) the Bruno Kreisky Prize for the Political Book and the Cardinal Innitzer Prize for social, cultural, social sciences.